In fall 2017, Jaap teamed up with Megan Cole to develop a new curriculum for Emory’s introductory biology courses. In this class, we provide a broad overview of biological science, from the molecular molecules that first gave rise to life, to the global organization of life into ecosystems. We cover cellular processes, patterns of inheritance, evolution, energy processing, and anthropogenic impacts on life. We relate topics to current research, applications to medicine, and the current state of our planet. The class is a mix of lectures, case studies, problem sets and pipe cleaners. 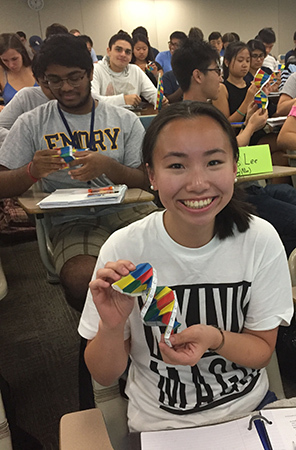 In our intro biology class, we like using little art projects, such as this origami activity to show the double helix of DNA. This undergraduate course is aimed at providing a firm understanding of evolutionary theory and its applications to other fields of biology and medicine. The class consists of a mix of lectures, discussion sections, and online simulations. Jaap taught this class from 2009-2016. This undergraduate course provides an introduction to the study of entomology, by addressing questions such as: what makes an insect, how do insects develop and how does an understanding of entomology help combat human disease and ensure food security? Topics also include insect behavior, insect ecology and insect evolution. The course is a combination of lectures, labs and field work. Jaap has taught this class as part of Emory’s Maymester and the Study Abroad program in Australia. 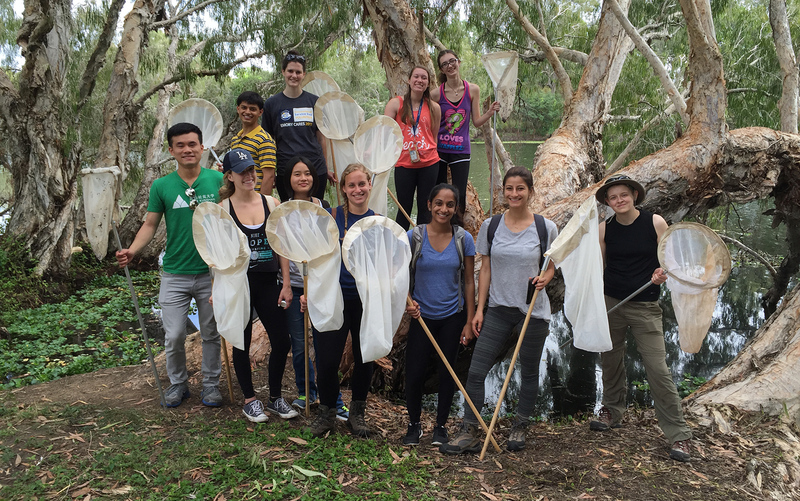 Students collecting insects in Queensland, Australia, during the Biology of Insects class in summer 2016. This graduate course is aimed at providing a firm understanding of ecological theory as well as the methods to study ecological questions in scientific research. Topics include population growth, species interactions, community ecology, biodiversity, experimental design and statistical analysis. 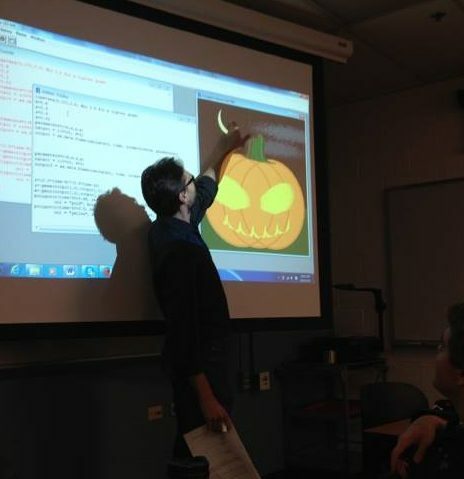 The class is a mix of lectures, discussion sections and computer labs, most of them using the package R. Jaap has been director and co-teacher of this course since 2009. Happy Halloween! Jaap displays a greeting card produced by PBEE student Dave Gruenewald. The image is produced entirely in R, using code snippets from various ecological models taught in our IBS 595 class. Evolution is often seen as a controversial topic. In this pre-college course, designed for junior and senior high school students, we analyze the scientific support for evolution, and study historical and contemporary evolutionary studies. We study what science is and how science works, and explain why alternatives such as intelligent design are not science. The class consists of literature readings, data analyses, visits to the Atlanta Zoo and Botanical Garden, and student-led presentations. 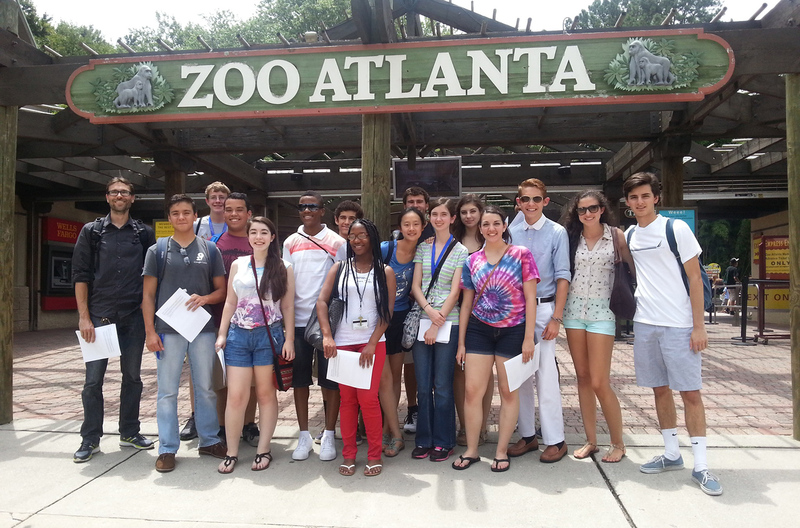 An excursion to the Atlanta Zoo for our pre-college class on evolutionary biology.